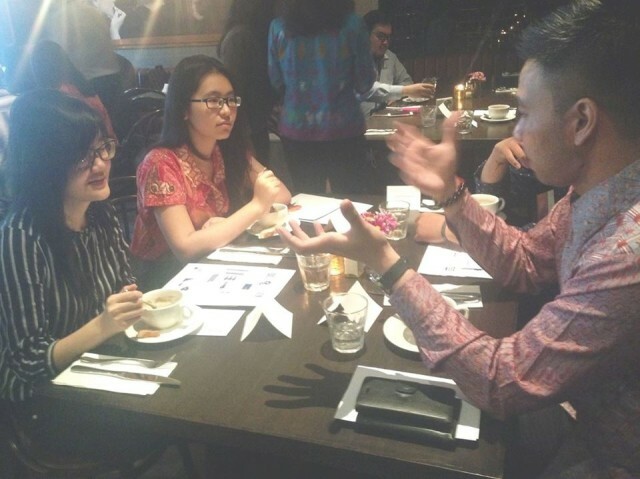 We, I Made Mahadikarya, Stephanie and Edeline Wijaya, would like to share our experiences when we attended the Lunch Gathering which was arranged by Deloitte. We got invited by the company as the representation of our university, Bina Nusantara. The Lunch Gathering was held on September 23,2015 in Immigrant Resto in Plaza Indonesia. The participants were also college students like us who came from other universities, such as Untar, Parahyangan, UI, etc. There are 7 universities and each universities have 3 representatives. This event gave us the chance to know more about Deloitte in an enjoyable atmosphere. All representatives of the university got a chance to seat and enjoy the lunch together with representatives from Deloitte. Our table was accompanied by Mr Brian Indradjaja, Director of Enterprise Risk Service. We enjoyed our conversation with him, not only knew more about the company, he also shared about his background and experiences. Moreover, we also got a chance to directly met the Country Leader of Deloitte, Mr Danilo Alcantara. 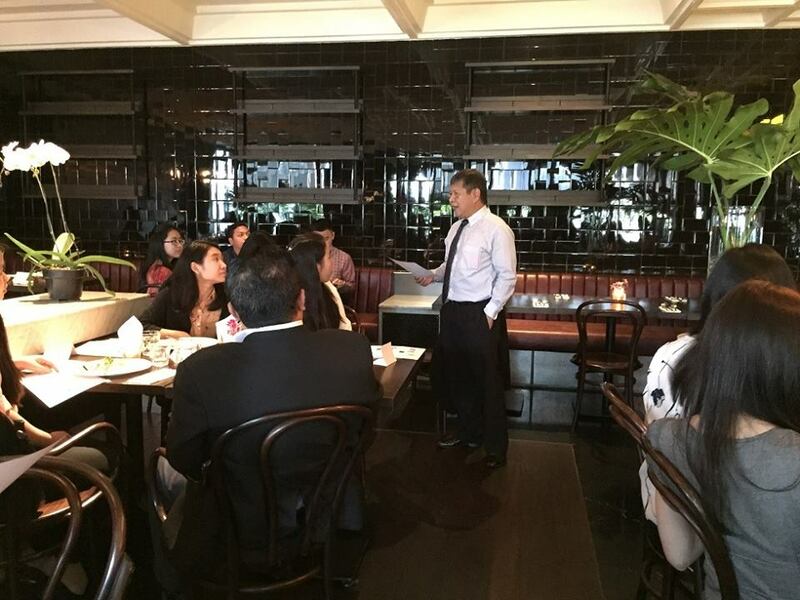 He shared a lot about the company and invited all representatives from each department in Deloitte. They took turn to share specifically about their department and experiences to everyone. After that we also got an opportunity to share our thoughts about Employers of Choice. In our opinion, the company with the work environment which could push us to develop ourselves, the company that has a clear vision and mission, and the company which could create a work life balance for the employees are the qualifications to be an employers of choice. 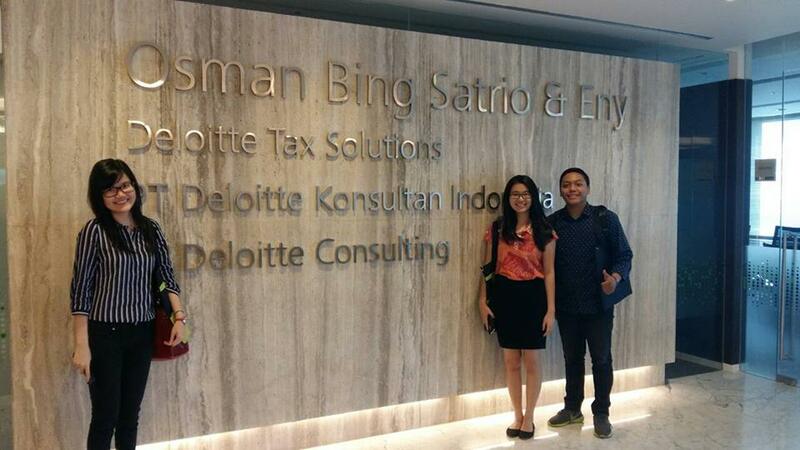 At the end of the event, we were invited to Deloitte office to have an office tour. Finally, the event closed with a group photo session. It was a really great experience for us and we enjoyed the event so much. Here are several photos that were took during the event.